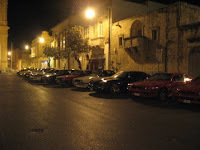 The Maserati Club Malta was officially Launched on the 31st May 2008. 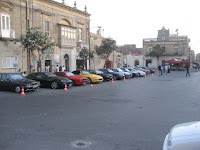 For this event the Club Maseratisti Siciliani were invited and came over with most of there beautifull Maseratis. The event took place at the Xahra Square in Gozo were we went for a cultural tour visiting places of interest around the island. That same evening we all set for the celebration dring which a dinner was served and both clubs exchanged commemrative tokens. Even all members of both clubs were given commemorative tokens. The formation of this Club is to keep alive the Maserati Marque and admire these beuties while going for usuall Sunday Runs and sometimes cross over to Sicily for a Raduno with our Sicilian Maserati friends. The Maserati Club Malta originated from the passion of six Maserati enthusiasts who used to meet regularly for a Sunday run. Through internet browsing we met a club in southern Italy and eagerly started to take part in their Raduno’s. From there onwards we realized the importance of forming our own club with the intention of organizing social Radunos, both in Malta as well as abroad, together with the Italian club with whom today we are affiliated. Early last year we decided to officially set up our club and this was officially inaugurated on 31st May 2008. 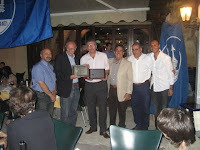 For this memorable event we have invited the Club Maseratisti Siciliani who came with 14 Maseratis. This was in fact their second visit to Malta and we have also organized social tours around the island to entertain our special guests. Since then we have organized various Radunos both in Malta and abroad.